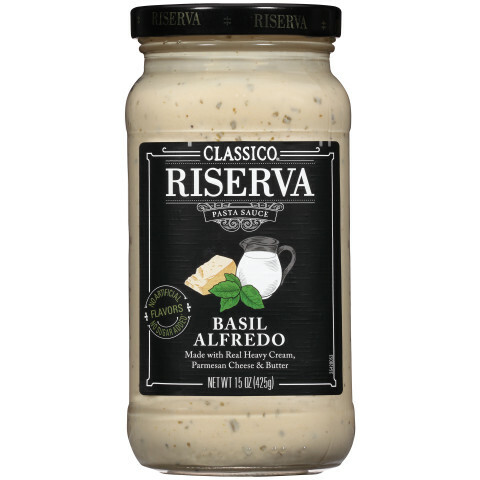 water, heavy cream, parmesan cheese (cultured part-skim milk, salt, enzymes), egg yolks, basil, corn starch, butter (cream, salt), sea salt, granulated garlic, salt, spice, xanthan gum, black pepper, enzymes. 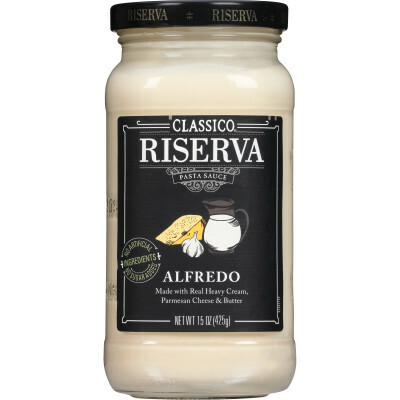 contains: milk, eggs. 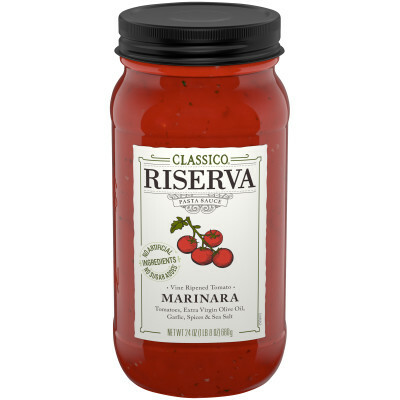 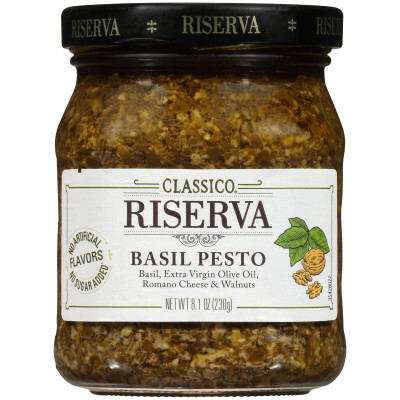 CLASSICO Riserva uses only simple, high-quality ingredients like vine ripened tomatoes picked at the peak of sweetness, fresh herbs & spices, extra virgin olive oil and a pinch of sea salt. 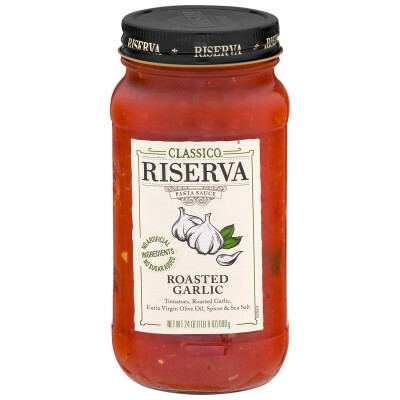 All our ingredients are slow simmered to perfection to create a great tasting authentic Italian pasta sauce you can be proud to serve.